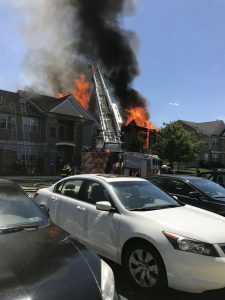 The Norristown Fire Department was dispatched to a fire at the Montgomery Mills Apartments at 2:27 p.m. Saturday that was quickly escalated to three alarms. The first crews to arrive found heavy fire coming from the 7500 building and the flames were spreading to the 7400 building. 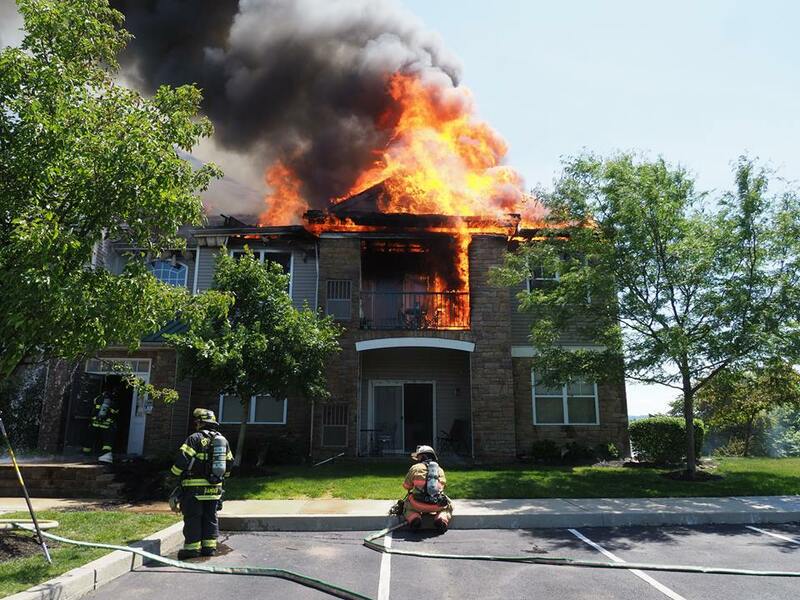 The 7500 building was destroyed and the 7400 building was heavily damaged. The 7300 building suffered minor damage. 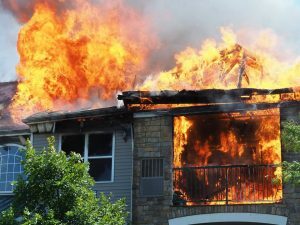 One firefighter was taken to the hospital to be evaluated due to heat exhaustion. 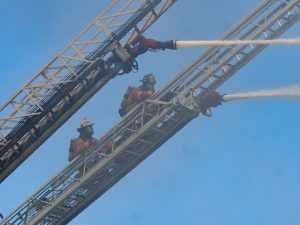 Over 200 firefighters responded to the three alarms. 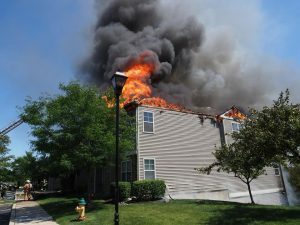 A total of 24 residents from 20 apartments were displaced. 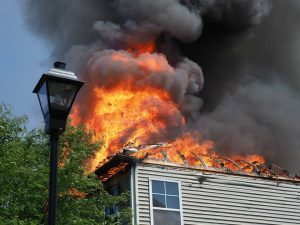 The apartment complex management are working to make sure all of the residents have someplace to go. 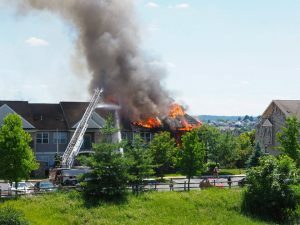 Thank you to the countless number of firefighters from the surrounding communities, North Penn Goodwill , and Plymouth Community Ambulance for their assistance at the fire.